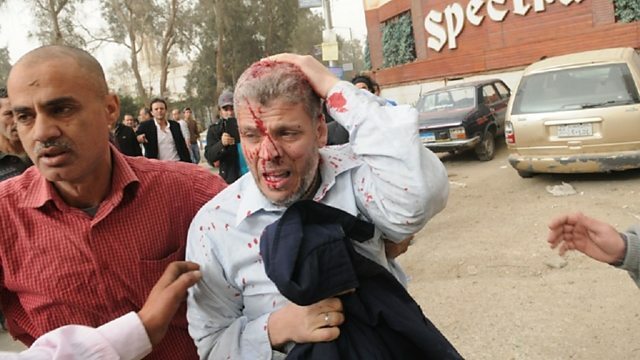 As opinon polarises in Cairo, where can the Muslim Brotherhood can go now? And, why some green protesters hate a new hydropower plan in the Alps. In Cairo, amid increasingly virulent and partisan public opinion, Quentin Sommerville asks where the Muslim Brotherhood can go now. The organisation, its political party and its newspaper have all been banned, many of its leaders are imprisoned and the rest on the run. So how will its supporters react? Far from the heat and tumult of Egypt, in the cool and fresh air of the Alpine valleys, Nick Thorpe learns why some Austrian protesters hate a new hydropower plan. While using dams and reservoirs to generate energy is relatively cheap and environmentally clean, local farmers and botanists worry about the impact of new schemes in Kaunertal and Platzertal on their beloved landscapes. And now there is also an argument that hydropower is not even as cost-effective as it was once thought to be.